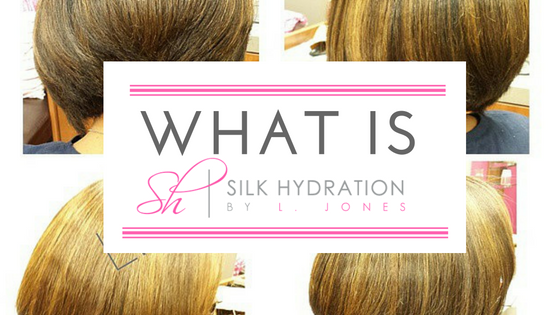 What Is Silk Hydration by L. Jones? Every time I do a tutorial I always show all of the products used to achieve that look. I exclusively use (unless otherwise stated) Silk Hydration by L. Jones products on my hair every single time. I talk about these products in my blog posts and videos as if you know exactly what I am talking about when some of you have never heard of my brand. 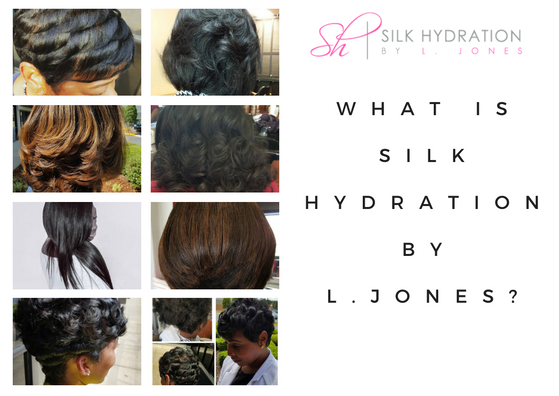 Which brings us to the question that many of you have, what exactly is Silk Hydration by L. Jones? Allow me to formally introduce you to my brand. Silk Hydration by L. Jones is a hair care product line created by myself, LaToya Jones, a professional hairstylist specializing in healthy hair. I created these products because, as a hairstylist, I found myself constantly searching for products to give my clients' hair a specific look and feel. My clients like to have hair that moves and has lots of body, bounce, shine, and moisture. Before making my own line of products, I used lots of different brands. For me, that was a problem. I wanted to use ONE line of products. Instead, for me to get the results that my clients love for their hair, I was having to use a shampoo from Company A, a different conditioner from Company B, a leave-in conditioner from Company C, etc. After creating Silk Hydration by L. Jones, I no longer have that problem because I created each item to achieve a specific goal. There are currently seven items in the Silk Hydration by L. Jones Original Collection. Below is a list of each item and what role it serves. Extreme Clean Clarifying Shampoo- It is a sulfate and paraben free deep cleansing shampoo that removes all dirt, oil, and residue off the hair. This allows your hair to start with a "clean slate" so that you can begin to put the moisture back in at your convenience. Extreme Moisture Shampoo- This is a sulfate and paraben free moisturizing shampoo that included both liquid and powdered silk right inside the bottle. It gives the hair a luxurious, salon quality feel and begins putting the good moisture back into your hair. The Replenishing Conditioner- This conditioner is free from sulfates and parabens and adds tons of moisture back into the hair. You can let it sit for as little as five minutes, or to get a deeper conditioning it can be left on hair for 30 minutes. Leave-In Conditioner- This leave-in conditioner is excellent because it serves three purposes. It detangles, moisturizes, and acts as a heat protectant to the hair. And as a bonus, it comes in liquid form instead of cream and is extremely lightweight and will not weigh the hair down. You can spray as much or as little as you want! The Intense Moisture Treatment- This is a deep conditioning treatment that is packed with oils and other conditioning agents. It leaves the hair feeling ultra moisturized and it brings dry and brittle hair back to life. This was also the first item created in the Silk Hydration line. Miracle Potion no.9- The Miracle Potion no.9 is a spray that adds shine, eliminates frizz, and gives the hair an amazing scent. And it lasts for days! It's like having a piece of heaven in a spray bottle! This is one of Silk Hydration's best sellers! Silky Serum Oil- This oil is the newest addition to the original collection. It is great for adding shine. It can be used during the blow dry process to make the hair really pop after it is flat ironed or curled. It can also be added after styling is completely done. And a little goes a long way! One or two drops is plenty for most customers, even if they have a head full of hair. Also added to the Silk Hydration by L. Jones Roster are the Baby Collection & Pet Collection. 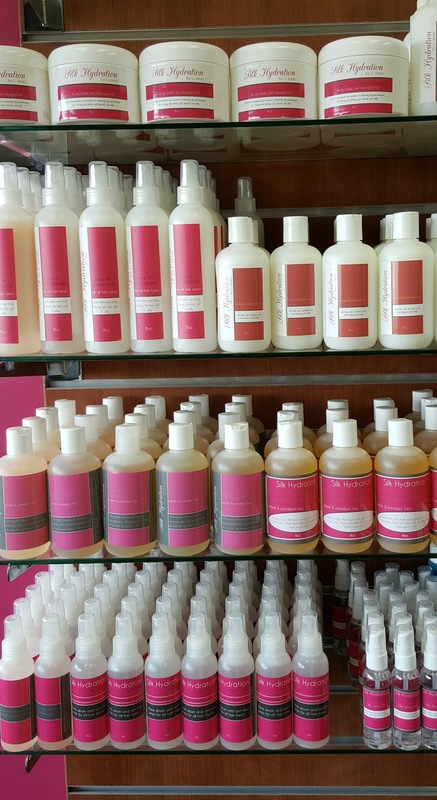 The Baby Collection features a fantastic shampoo and cream rinse combo. The Gentle Cleansing Baby Shampoo is free from sulfates, parabens, harsh chemicals, perfume, and dyes. Instead it has a fruit based cleanser derived from apples, an essential oil instead of perfume, distilled water, and food grade moisturizers. What exactly does this mean? It means that this shampoo is extremely gentle, especially for babies with sensitive skin. It can also double as a body wash! The cream rinse is more gentle than a regular conditioner because it is not as heavy. It was formulated that way because most babies have fine hair so products that are heavy are not needed. It does two things that every mother wants for their baby's hair. It softens and detangles! As a bonus it can also be used as a leave in, or on dry hair to bring the natural curls back to life. The Pet Collection features an all natural shampoo AND a doggy refresher spray. Both make your dog smell and feel fantastic. With the shampoo, the conditioner is included right in the bottle. Now that you have been formally introduced, the only thing to do is place your first order! Head to www.silkhydration.com and shop now. If you have any questions leave them in the comments section for everyone to see so that others can see the answer as well.